Ubisoft has announced Watch Dogs, a brand new IP that will apparently see players assuming the shoes of Aiden Pierce, a "violent man" on the search to have corrupt but powerful people "exposed to the world." The game looks to be an open-world title with the central mechanic being Aidan's ability to "use the city as a weapon." It will apparently focus on the way computers and technology affect and "control" our day-to-day lives, presenting the question of "who controls the computers?" Paranoid, Deus Ex sort of stuff, sure, but juicy nonetheless. In the roughly 10-minute demo presented during Ubisoft's E3 press event, Aiden was shown walking the streets of Chicago, on the search to take down a man named Joseph DeMarco. Using his phone, our protagonist was able to find intel on various NPC's, listing their age, occupation, income, criminal record, marital status, even health records on a Syndicate-style on-screen display. Once he found his way to the mark, Aiden hacked into some nearby traffic lights, shutting them down and causing DeMarco to be involved in a multi-car accident. From there, some third-person shooter action was shown, as Aiden utiltized cover–seamlessly created from the accident he just caused—and a type of time-slowing effect to take DeMarco down once and for all. Pierce then jacks a nearby car and makes his escape, while the rest of us are left wanting for more. 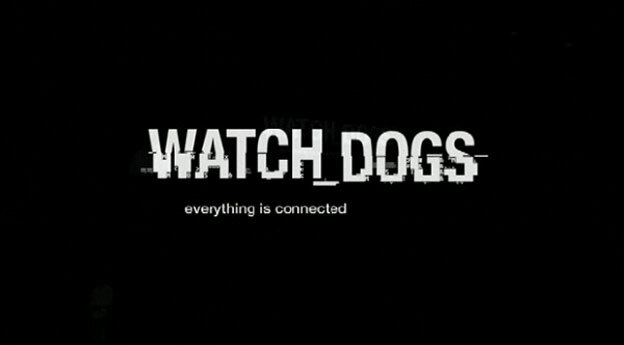 Of course, there are many questions about Watch Dogs that we just don't know the answer to yet. When can we expect this to come out? The game has been listed for release on Xbox 360, PlayStation 3, and PC, so does that mean the Wii U will be missing out on the action? Since the end of the trailer seemed to hint at some form of seamless co-op within the game, and not the kind where two guys team up just to shoot stuff, well…what's up with that? Unfortunately, we all may be forced to wait a little bit for Ubisoft to give us some answers. If we receive any new info, we'll be sure to update. Ubisoft CEO Yves Guilemot said the company has the same excited feeling around this reveal as it did around the time Assassin's Creed was first shown all those E3s ago. Judging by how interesting and honest-to-goodness refreshing Watch Dogs looks right about now, I'm hard-pressed to disagree with him.